About a year before Mt. 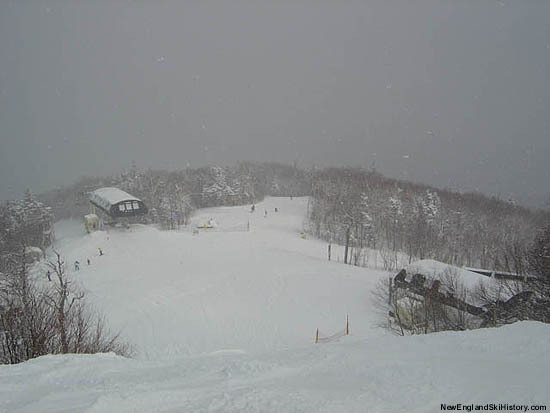 Snow put lift service into its new Sunbrook area, Stratton added another mountain face as well. 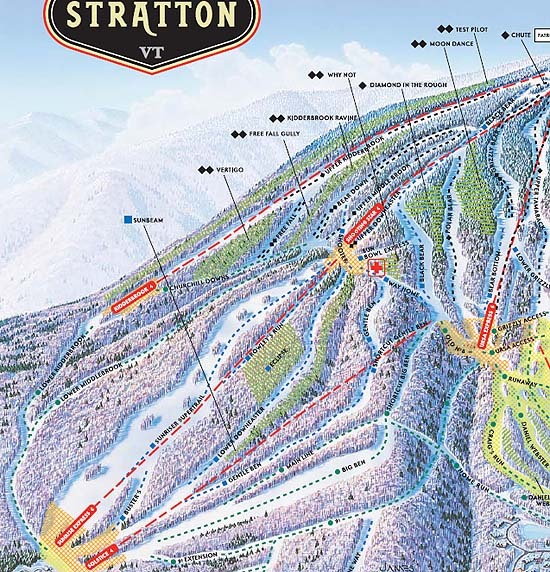 In what is today the lower portion of the Sun Bowl area, Stratton installed a new Heron double chairlift for the 1968 season, serving mainly intermediate terrain. 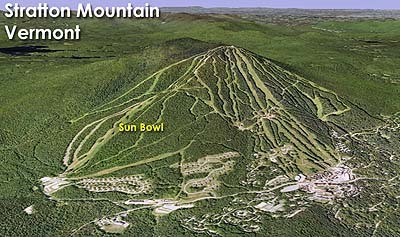 Like Sunbrook, the initial Sun Bowl development did not have a lift back to the summit of the ski area. In fact, until the installation of the Grizzly Triple a decade later, there was no easy way to access the summit from the Sun Bowl. In 1986, the Sun Bowl double was replaced with a new Poma quad chairlift. 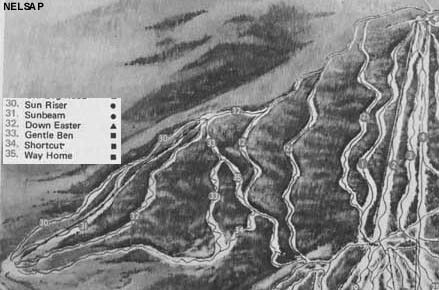 Three years later, the Kidderbrook chairlift was installed nearby, allowing for a quasi-tandem ride to the summit from the Sun Bowl base. 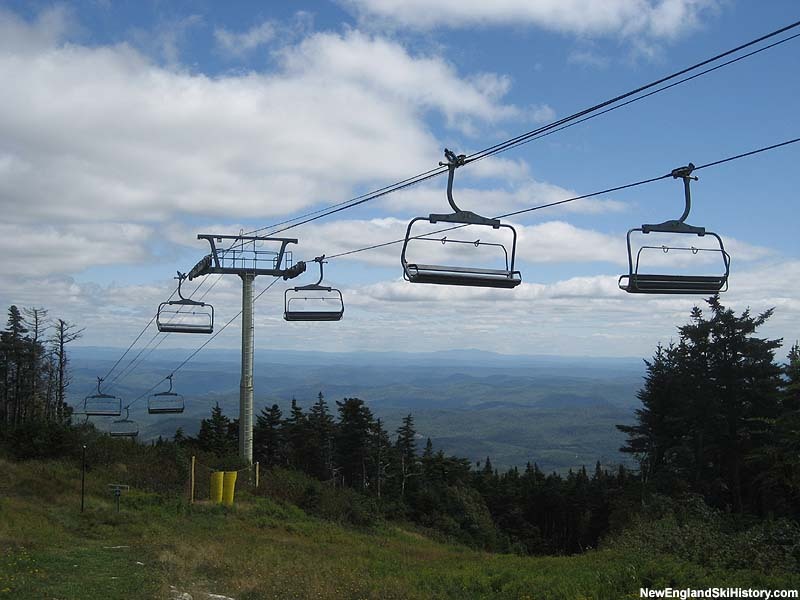 In 2001, the Sun Bowl saw a significant change, when two Garaventa CTEC detachable six pack chairlifts were installed, allowing for tandem high speed ride from the bottom of the Sun Bowl to the summit of the ski area. The Sun Bowl Quad was then realigned and renamed the Solstice Quad.